The Bharatiya Janata Party (pronounced [bʱaːrətiːjə dʒənətaː paːrʈiː] ( listen ); translation: Indian People's Party; abbr.BJP) is one of the two major political parties in India, along with the Indian National Congress. As of 2018 [update] , it is the country's largest political party in terms of representation in the national parliament and state assemblies, and it is the world's largest party in terms of primary membership. BJP is a right-wing party, and its policy has historically reflected Hindu nationalist positions. It has close ideological and organisational links to the Rashtriya Swayamsevak Sangh (RSS). Translation is the communication of the meaning of a source-language text by means of an equivalent target-language text. The English language draws a terminological distinction between translating and interpreting ; under this distinction, translation can begin only after the appearance of writing within a language community. The BJP's origin lies in the Bharatiya Jana Sangh, formed in 1951 by Syama Prasad Mukherjee. After the State of Emergency in 1977, the Jana Sangh merged with several other parties to form the Janata Party; it defeated the incumbent Congress party in the 1977 general election. After three years in power, the Janata party dissolved in 1980 with the members of the erstwhile Jana Sangh reconvening to form the BJP. Although initially unsuccessful, winning only two seats in the 1984 general election, it grew in strength on the back of the Ram Janmabhoomi movement. Following victories in several state elections and better performances in national elections, the BJP became the largest party in the parliament in 1996; however, it lacked a majority in the lower house of Parliament, and its government lasted only 13 days. The Bharatiya Jana Sangh was an Indian right wing political party that existed from 1951 to 1977 and was the political arm of Rashtriya Swayamsevak Sangh (RSS), a Hindu nationalist volunteer organisation. In 1977, it merged with several other left, centre and right parties opposed to the Indian National Congress and formed the Janata Party. After the Janata Party split in 1980, the former Jan Sangh was recreated as the Bharatiya Janata Party (BJP), which is currently India's largest political party by primary membership and representation in the Lok Sabha. After the 1998 general election, the BJP-led coalition known as the National Democratic Alliance (NDA) under Prime Minister Atal Bihari Vajpayee formed a government that lasted for a year. Following fresh elections, the NDA government, again headed by Vajpayee, lasted for a full term in office; this was the first non-Congress government to do so. In the 2004 general election, the NDA suffered an unexpected defeat, and for the next ten years the BJP was the principal opposition party. Long time Gujarat Chief Minister Narendra Modi led it to a landslide victory in the 2014 general election. Since that election, Modi has led the NDA government as Prime Minister and as of February 2019 [update] , the alliance governs 18 states. Gujarat is a state on the western coast of India with a coastline of 1,600 km (990 mi) – most of which lies on the Kathiawar peninsula – and a population in excess of 60 million. It is the sixth largest Indian state by area and the ninth largest state by population. Gujarat is bordered by Rajasthan to the northeast, Daman and Diu to the south, Dadra and Nagar Haveli and Maharashtra to the southeast, Madhya Pradesh to the east, and the Arabian Sea and the Pakistani province of Sindh to the west. Its capital city is Gandhinagar, while its largest city is Ahmedabad. The Gujarati-speaking people of India are indigenous to the state. The economy of Gujarat is the fifth-largest state economy in India with ₹14.96 lakh crore (US$210 billion) in gross domestic product and a per capita GDP of ₹157,000 (US$2,200). Integral humanism was a set of concepts drafted by Deendayal Upadhyaya as political program and adopted in 1965 as the official doctrine of the Jan Sangh. Upadhyaya borrowed the Gandhian principles such as sarvodaya, swadeshi (domestic), and Gram Swaraj and these principles were appropriated selectively to give more importance to cultural-national values. These values were based on an individual's undisputed subservience to nation as a corporate entity. Richard Fox has characterised this as "ideological hijacking" and a "transplant" that was designed with a purpose to appropriate the authority that the Gandhian idioms had on Indian politics. Deendayal Upadhyaya was an Indian RSS thinker and former leader of the political party Bharatiya Jana Sangh, the forerunner of Bharatiya Janata Party. He became president of the Jana Sangh in December 1967. He contested the Lok Sabha election and lost. He was killed in a train theft incident and was found dead on 11 February 1968 on a railway track near Mughalsarai Junction railway station. Jammu and Kashmir is a state in northern India, often denoted by its acronym, J&K. 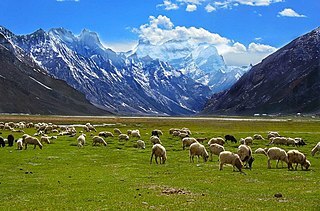 It is located mostly in the Himalayan mountains, and shares borders with the states of Himachal Pradesh and Punjab to the south. 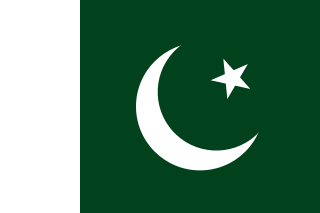 The Line of Control separates it from the Pakistani-administered territories of Azad Kashmir and Gilgit-Baltistan in the west and north respectively, and a Line of Actual Control separates it from the Chinese-administered territory of Aksai Chin in the east. The state has special autonomy under Article 370 of the Constitution of India. Mauli Chandra Sharma was a senior Indian politician, originally of the Indian National Congress. He was a founding member of the Bharatiya Jana Sangh, serving as its Vice-President and President, before being forced out by the Rashtriya Swayamsevak Sangh activists in the party in 1954. Lal Krishna Advani is an Indian politician who served as the 7th Deputy Prime Minister of India from 2002 to 2004 under Atal Bihari Vajpayee. He is one of the co-founders and a senior leader of the Bharatiya Janata Party. Advani also served as Minister of Home Affairs in the BJP-led National Democratic Alliance government from 1998 to 2004. He was the Leader of the Opposition in the 10th Lok Sabha and 14th Lok Sabha. He was the National Democratic Alliance prime ministerial candidate in the 2009 general elections. The Bharatiya Janata Party was officially created in 1980, and the first general election it contested was in 1984, in which it won only two Lok Sabha seats. Following the election in 1996, the BJP became the largest party in the Lok Sabha for the first time, but the government it formed was short-lived. In the elections of 1998 and 1999, it remained the largest party, and headed the ruling coalition on both occasions. In the 2014 general election, it won an outright majority in parliament. From 1991 onwards, a BJP member has led the Opposition whenever the party was not in power. For the electoral results of the BJP's predecessors, see the JP and BJS articles. Uma Bharti is an Indian politician who currently serves as the Cabinet Minister for Drinking Water and Sanitation in the Union Government of India. 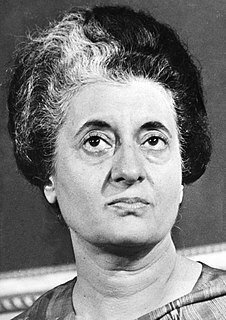 She became involved with the Bharatiya Janata Party (BJP) at a young age, unsuccessfully contesting her first parliamentary elections in 1984. In 1989, she successfully contested the Khajuraho seat, and retained it in elections conducted in 1991, 1996 and 1998. In 1999, she switched constituencies and won the Bhopal seat. Legislative elections were held in India in four phases between 20 April and 10 May 2004. Over 670 million people were eligible to vote, electing 543 members of the 14th Lok Sabha. The Lok Sabha, or "House of the People," is the directly elected lower house of the Parliament of India. Keshubhai Patel is an Indian politician who was the Chief Minister of Gujarat state of India in 1995 and from 1998 to 2001. He has been a member of Gujarat Legislative Assembly six times. He has been a member of the Bharatiya Janata Party (BJP) from the 1980s. He earlier left the BJP in 2012 and formed the Gujarat Parivartan Party later got merged with Bharatiya Janata Party. He was elected from Visavadar in the 2012 assembly election but later resigned in 2014 due to ill health. Shankersinh Vaghela is an Indian politician from Gujarat. He was the Leader of Opposition in 13th Gujarat Legislative Assembly. K. Jana Krishnamurthi was an Indian political leader who rose to be the President of the Bharatiya Janata Party (BJP) in 2001. 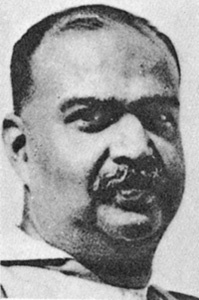 A former Union Law Minister and a member of the Parliament of India, Krishnamurthi was the second person from Tamil Nadu to head a national party in India after Kamaraj. Balraj Madhok was an Indian political activist and politician from Jammu. Originally an activist of the Hindu nationalist organisation Rashtriya Swayamsevak Sangh (RSS), he later worked as a politician in the Bharatiya Jan Sangh (BJS). Madhok was instrumental in launching the RSS in the princely state of Jammu and Kashmir and later the political party Jammu Praja Parishad for representing the interests of Jammu Hindus. He eventually rose to become the president of the Bharatiya Jana Sangh and led its successful contest in the general election of 1967. He resigned from the party afterwards due to political differences with Atal Bihari Vajpayee and L. K. Advani. Kushabhau Thakre was an Indian politician belonging to Bharatiya Janata Party and Member of parliament. Chandikadas Amritrao Deshmukh also known as Nanaji Deshmukh was a social activist from India. He worked in the fields of education, health, and rural self-reliance. He was honoured with the Padma Vibhushan in 1999. He was posthumously awarded the Bharat Ratna, India's highest civilian award in 2019 by Government of India. He was a leader of the Bharatiya Jana Sangh and also a member of the Rajya Sabha. Rajnath Singh is an Indian politician belonging to the Bharatiya Janata Party who currently serves as the Home Minister of India. He previously served as the Chief Minister of Uttar Pradesh and as a Cabinet Minister in the Vajpayee Government. He has also served as the President of the BJP twice, 2005 to 2009 and 2013 to 2014. He began his career as a physics lecturer and used his long-term association with the Rashtriya Swayamsevak Sangh (RSS) to become involved with the Janata Party. DND Flyway which connects Delhi and Noida was inaugurated by him in 2001. Pon Radhakrishnan is an Indian politician from Tamil Nadu, representing the Bharatiya Janata Party. He is currently serving as Minister of State in the Ministry of Finance and Ministry of Shipping. Earlier, he served in the Union Minister of State for Road Transport & Highways in the NDA government. He has served as the minister of state for Youth affairs and Minister of State in the Ministry of Housing and Urban Poverty Alleviation in Third Vajpayee Ministry. He is elected to Lok Sabha from Kanyakumari in Tamil Nadu. The Ram Rath Yatra was a political and religious rally that lasted from September to October 1990. It was organised by the Bharatiya Janata Party (BJP) and its Hindu nationalist affiliates, and led by the then-president of the BJP, L. K. Advani. The purpose of the yatra was to support the agitation, led by the Vishwa Hindu Parishad (VHP) and its affiliates in the Sangh Parivar, to erect a temple to the Hindu deity Rama on the site of the Babri Masjid. These are the references for further information regarding the Sangh Parivar. Conservatism in India refers to the political philosophy of conservatism as it has developed in India. Politics in India has since at least the 1990s been most predominantly a contest between the centre-left Indian National Congress alliance and the center-right Bharatiya Janata Party. 1 2 First Post 2015. ↑ "BJP stands by Hindutva ideals: Venkaiah Naidu". The Hindu . 23 March 2012. Archived from the original on 3 March 2018. ↑ "Is Modi's India Safe for Muslims?". Foreign Policy . 26 June 2015. Archived from the original on 19 October 2017. ↑ Bonikowska, Monika (2014). "India After The Elections". Centre for International Relations (6): 2. Archived from the original on 24 September 2017. ↑ Taylor, McComas (2016). Seven Days of Nectar: Contemporary Oral Performance of the Bhagavatapurana. Oxford University Press. p. 197. ↑ Kale, Sunila (2014). Electrifying India: Regional Political Economies of Development. Stanford University Press. p. 94. ↑ Rao Jr., Parsa Venkateshwar (18 January 2016). "Modi's right-wing populism". Daily News and Analysis . Archived from the original on 1 July 2017. Retrieved 29 June 2017. ↑ Wodak, Ruth (2013). Right-Wing Populism in Europe: Politics and Discourse. A&C Black. p. 23. 1 2 3 4 5 6 7 Malik & Singh 1992, pp. 318-336. 1 2 Banerjee 2005, p. 3118. ↑ Pillalamarri, Akhilesh. "India's Bharatiya Janata Party Joins Union of International Conservative Parties — The Diplomat". The Diplomat. Archived from the original on 28 February 2016. ↑ "International Democrat Union » Asia Pacific Democrat Union (APDU)". International Democrat Union. Archived from the original on 16 June 2017. Retrieved 12 June 2017. ↑ "STRENGTHWISE PARTY POSITION IN THE RAJYA SABHA". Rajya Sabha. Archived from the original on 6 June 2017. ↑ "In Numbers: The Rise of BJP and decline of Congress". The Times of India. 19 May 2016. Archived from the original on 5 November 2017. Retrieved 29 June 2017. ↑ Swain, Pratap Chandra (2001). Bharatiya Janata Party: Profile and Performance. APH Publishing. p. 60. ISBN 9788176482578. ↑ Noorani 1978, p. 216. ↑ Jaffrelot 1996, pp. 116-119. 1 2 Guha 2007, p. 136. 1 2 Guha 2007, p. 250. ↑ Jaffrelot 1996, pp. 122-126, 129-130. ↑ Guha 2007, pp. 250, 352, 413. ↑ Guha 2007, pp. 427–428. 1 2 Guha 2007, pp. 538–540. ↑ Jaffrelot 1996, pp. 282–283. ↑ Jaffrelot 1996, pp. 292–301, 312. ↑ Jaffrelot 1996, pp. 301-312. ↑ Guha 2007, p. 579. ↑ Pai 1996, pp. 1170–1183. ↑ Flint 2005, p. 165. ↑ Guha 2007, pp. 582–598. ↑ Guha 2007, pp. 635. ↑ Guha 2007, pp. 636. 1 2 3 4 5 6 7 Guha 2007, pp. 633-659. 1 2 3 4 Al Jazeera 2009. 1 2 3 Guha 2007, p. 633. ↑ Sen 2005, p. 254. 1 2 3 Sen 2005, pp. 251-272. ↑ Ghassem-Fachandi 2012, pp. 1-31. 1 2 Jaffrelot 2013, p. 16. ↑ "Naroda Patiya verdict: Gujarat HC acquits Maya Kodnani, commutes Babu Bajrangi's sentence". India Today. 20 April 2018. Retrieved 6 June 2018. ↑ Brass 2005, pp. 385-393. ↑ Gupta 2011, p. 252. ↑ Nussbaum 2008, p. 2. 1 2 3 Ramesh 2004. 1 2 The Hindu 2004. ↑ BBC & May 2014. 1 2 3 4 5 6 Sridharan 2014. ↑ Times of India 2014. ↑ National Informatics Centre 2014. ↑ Hansen 1999, p. 85. 1 2 3 4 5 6 7 8 9 10 11 12 Swain 2001, pp. 71-104. 1 2 3 4 5 6 Seshia 1998, pp. 1036-1050. 1 2 3 4 5 Gillan 2002, pp. 73-95. 1 2 Sen 2005, p. 63. ↑ International Religious Freedom Report 2005. ↑ BBC & January 2014. ↑ Fitzgerald 2011, pp. 67-68. ↑ Vajpayee 2007, pp. 318-342. ↑ Times of India 2013. ↑ "Meet the BJP leader who released a book on LGBT rights". The News Minute. 14 July 2014. Archived from the original on 31 October 2016. Retrieved 30 March 2017. ↑ "It's a great honour to be awarded for book on gender variants: Gopi Shankar - Times of India". Timesofindia.indiatimes.com. 21 July 2014. Archived from the original on 7 January 2017. Retrieved 30 March 2017. ↑ Ashok Row Kavi (19 March 2016). "RSS flip-flop on homosexuality indicates gay men in India remain in exile, writes Ashok Row Kavi". Firstpost.com. Archived from the original on 28 March 2017. Retrieved 30 March 2017. ↑ "BJP leader launches LGBT rights book in TN". Mumbai Mirror. Archived from the original on 3 March 2016. Retrieved 23 May 2017. 1 2 3 4 5 6 Shulman 2000, pp. 365-390. ↑ Guha 2007, pp. 710-720. ↑ Sen 2005, p. 70. 1 2 Bobbio 2012, pp. 652-668. ↑ Jaffrelot 2013, pp. 79-95. ↑ "Atal Bihari Vajpayee, The Man Who Mainstreamed BJP And Bharatiyata". Swarajya . 16 August 2018. ↑ "Modi rolls out his populist plans with a second term in mind". The Nikkei . 1 2 3 4 Ganguly 1999, pp. 148–177. 1 2 3 4 5 6 7 Krishnan 2004, pp. 1-37. 1 2 Kux 2002, pp. 93-106. 1 2 Qadir 2002, pp. 1-10. 1 2 Abbas 2004, p. 173. ↑ Times of India 2002. 1 2 3 4 5 6 7 8 9 Chaulia 2002, pp. 215-234. 1 2 Harris 2005, pp. 7-27. ↑ Times of India 2012. 1 2 3 Pisharoty, Sangeeta Barooah (25 May 2016). "BJP Crafts North East Democratic Alliance to Make the Region 'Congress Mukt'". Archived from the original on 26 May 2016. 1 2 3 "Amit Shah holds meeting with northeast CMs, forms alliance". 25 May 2016. Archived from the original on 26 May 2016. ↑ "BJP Acts East With New Anti-Congress Bloc, Puts Himanta Biswa In Charge". Archived from the original on 25 May 2016. ↑ Gujarat Legislative Assembly 2015. ↑ Murari Shetye. "Goa speaker Pramod Sawant succeeds Parrikar as CM" The Times of India. 19 March 2019. ↑ Kashyap, Samudra Gupta (31 December 2016). "Arunachal gets full-fledged BJP govt as Pema Khandu, 32 others join saffron party". Indian Express. Archived from the original on 1 January 2017. ↑ "With 32 MLAs' support, BJP to elect Manipur leader today". Deccan Chronicle. 13 March 2017. Archived from the original on 17 March 2017. Retrieved 29 June 2017. ↑ "BJP decimates Congress in Uttarakhand". The Hindu. 11 March 2017. Archived from the original on 3 March 2018. Retrieved 29 June 2017. ↑ Chowdury, Arghya Roy (11 March 2017). "UP Elections 2017 Results- BJP wins three-fourth majority; Mayawati cries foul about EVM, SP stunned". Daily News & Analysis. Archived from the original on 30 July 2017. Retrieved 29 June 2017. Davies, Richard (2005). "The Cultural Background of Hindutva". In Ayres & Oldenburg, Alyssa & Philip. India Briefing; Takeoff at Last?. Asia Society. "Narendra Modi to be sworn in as 15th Prime Minister of India on May 26". Deccan Chronicle . 20 May 2014. Retrieved 26 May 2014. "Tehelka sting: How Bangaru Laxman fell for the trap". India Today . Retrieved 9 May 2012. Kattakayam, Jiby (27 April 2012). "Bangaru Laxman convicted of taking bribe". The Hindu . Chennai, India. Retrieved 9 May 2012. Kux, Dennis (May–June 2002). "India's Fine Balance". Foreign Affairs. 81 (3): 93–106. doi:10.2307/20033165. JSTOR 20033165. Mathew, Liz (16 May 2014). "Narendra Modi makes election history as BJP gets majority on its own". Live Mint . Retrieved 26 May 2014. Noorani, A. G. (March–April 1978). "Foreign Policy of the Janata Party Government". Asian Affairs. 5 (4): 216–228. doi:10.1080/00927678.1978.10554044. JSTOR 30171643. "Tehelka Sting: After Eleven Years, It Stings To Say This". Outlook . Retrieved 9 May 2012. Swain, Pratap Chandra (2001). Bharatiya Janata Party: Profile and Performance. India: APH publishing. pp. 71–104. ISBN 978-81-7648-257-8 . Retrieved 5 July 2014. "Bangaru Laxman convicted for taking bribe". Tehelka . Retrieved 9 May 2012. "Election results 2014: India places its faith in Moditva — The Times of India". Timesofindia.indiatimes.com. 2014-05-17. Retrieved 2014-08-11. Vajpayee, Atal Bihari (2007). Jaffrelot, Christophe, ed. Hindu Nationalism: A Reader. Delhi: Permanent Black. ISBN 9780691130989.